Chris travels to Sydney and then the fictional land of Toussaint to sample Blood and Wine, the final piece of story DLC for The Witcher 3. A monster of unknown origin is terrorising the elite of Toussaint. Its victims are left mutilated and desecrated, but despite the gruesome nature of the attacks and amount of carnage inflicted, the beast remains unseen. 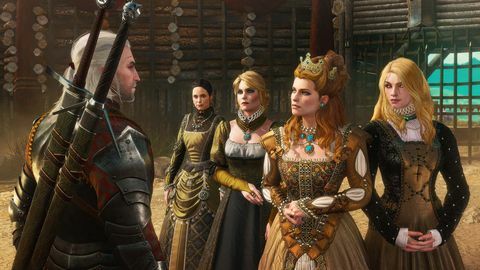 Geralt has been tasked by the Duchess herself to investigate the vicious attacks and end the beast’s reign of terror. 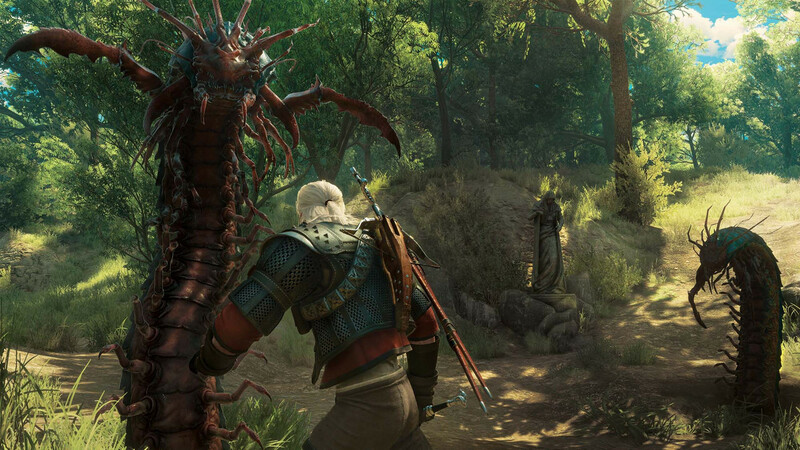 This is a monster contract quite unlike any experienced in The Witcher series thus far. Old friends and new monsters wait in the beautiful land of Blood and Wine. It only takes a second to see that the design and art team behind Blood and Wine have taken great pains to give the expansion its own very distinct personality. The southern France-inspired Toussaint is a vibrant land untouched by ravages of war. There is an almost painterly beauty to its landscapes, and a visual succulence that is in every way the antithesis of the bleak oppressive environments found throughout the main game. Blood and Wine is simply the most beautiful game I have ever seen. It projects an almost whimsical air akin to the iconic Technicolor adventure and fantasy films of the 1950s and ‘60s. In motion, Blood and Wine is nothing short of breath-taking. I was lucky enough to spend a few hours playing through the opening act of the main quest, and to spend some additional time looking at the new features and player requested changes that have made it into the game. Blood and Wine is a return to the traditional expansion pack that those with a few more years on them will remember from a time pre-DLC. Jamie Bury, CD Projekt RED’s senior lead animator confirmed that with both the main and 90-odd side quests, you can expect around 30 hours of content, but that mileage may vary. Those focusing just on the main story will have a shorter stay in Toussaint, but for those wanting to really explore the new lands, breezing past the 30-hour mark seems more than likely. The level cap has been increased to 100, so there is no risk of hitting the ceiling, even if you decide to explore every forest, dungeon, cave, and castle. Very obviously, there is a lot of content here, and an equally large area to house it all. Toussaint is a massive region – approximately the combined size of the Islands of Skellige, and like Skellige Toussaint is a completely separate region, with its own distinct map, climate, flora and fauna. The lush pastures and fairytale-esque forests inspire a sense of awe I’ve not experienced in a game for many years. But don’t let the beauty distract you from the dangers found here: the new monsters are even more brutal that those found in No Man’s Land or Skellige. I’ve been gutted by a Bruja, squashed by a giant, and blasted by poison spitting plants. 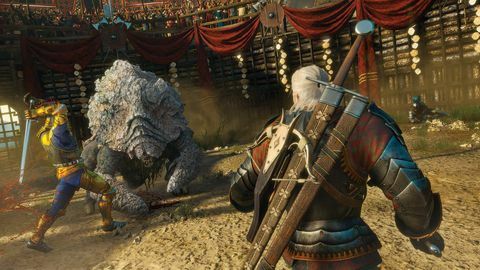 There a few more I won’t talk about here, but it’s clear that the design team has spent as much time making the creatures of Toussaint as detailed and monstrous as they have building the world they live in. It’s not all about the adventure in Blood and Wine, though. There are numerous new mechanics and quality of life additions that will surely make this expansion a must-have for fans of the series. Two features I was very happy to see were the ability to toggle the fish-eye effect from your Witcher senses, as well as the weapon auto-unsheathing every time you pass a wondering monster, enemy soldier, or angry puppy. These are small fan-requested changes that make a welcome addition to the game. The UI has also been cleaned up, making it more user friendly and less clunky. It’s still very much a controller focused scheme, and despite not being able to check it out with my preferred mouse/keyboard setup, it does look to remove some of the minor frustrations the finicky existing interface has been burdened with up until now. 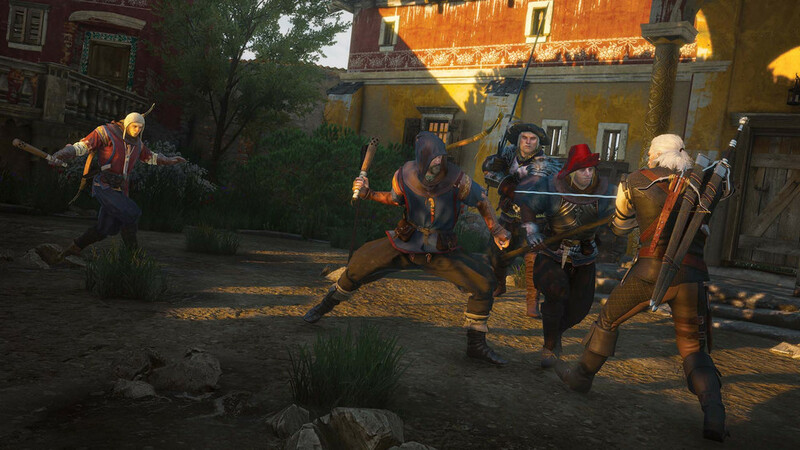 In addition to this are some new customisation options, including the ability to dye your armour using any of the new dyes found in Toussaint, but the real meat of the customisation comes with Corvo Bianco – your new vineyard manor home. Corvo Bianco is your base of operation while in Toussaint. Various part of the property can be improved and upgraded, from armour stands and weapon racks to display your epic gear, to improved stables, and rooms to improve stamina for you and Roach. Cleaning up the guest rooms will trigger a visit from any surviving NPCs, and finally gives them a place in the world where you can interact with them after completing the main quest. A couple of key features are the herb garden and the alchemy lab. The latter allows you to break down monster mutagens to their basic colour states so you can finally use them to improve your existing core mutagens, and the former provides ingredients for the new mutagen recipe system. This is an additional system to further develop Geralt, and these new mutagens can add devastating effects to your attacks, or even add status effects to signs. One ability I found extremely helpful was the added freeze effect to the Aard sign. It gave me even more options in group combat, and that’s only scratching the surface of what can be found here. From the looks of it, unlocking all of them will require a herculean effort. It’s a meaningful addition and something I am sure that those looking for a way to max out their character will revel in. Lastly, for the Gwent aficionado there is a new Skellige deck, and a host of new opponents to be discovered while you are in Toussaint. From my own experience, I will likely sink hours alone in locating all the cards, and beating every opponent I can find (I can quit any time!) The amount of content, fixes, improvements, and mechanic additions far exceed anything I expected, or even anything I’ve seen in an RPG expansion previously. 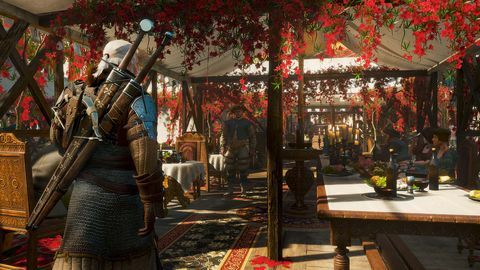 In many ways, Blood and Wine is a complete game, and appears to have more content than many full-priced games released in the last few years. I am happy to see the months of development have been very well spent. After spending about four hours with the game I was torn between wanting to see more, and needing to stop so I can experience it all when it’s released later this month. While I only scratched the surface, if the rest of the expansion lives up to what I’ve seen here, then Witcher fans are in for a hell of a treat. Many long to find the land of milk and honey, and personally I think I may have found a home in the land of Blood and Wine. 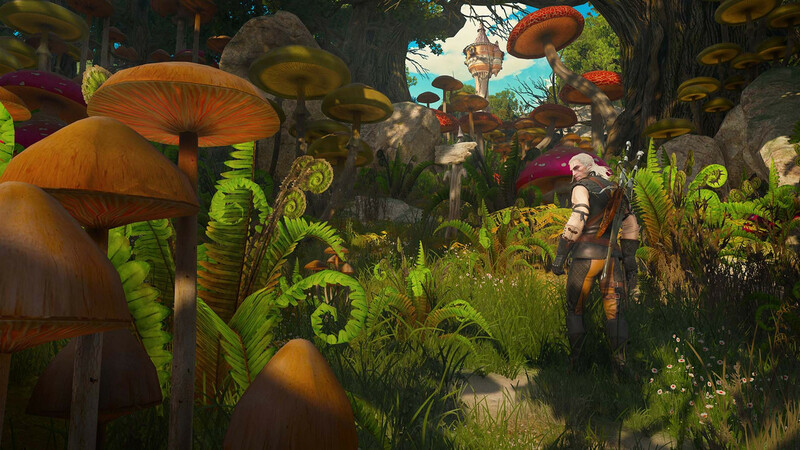 Drinking in The Witcher 3's final DLC.